The Czech round of European Rally Championship is under way! It takes the crews through challenging tarmac roads around the Moravian industrial town of Zlín, with tens of thousands of spectators coming to one of the most popular rally events in the Czech Republic. 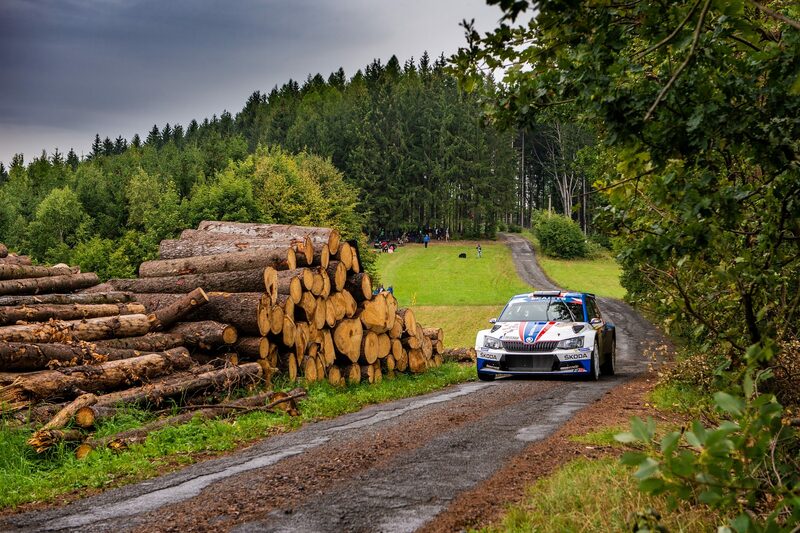 On Friday afternoon, the crews faced the oldest stretch of the Zlín rally, from Komárov to Pohořelice. 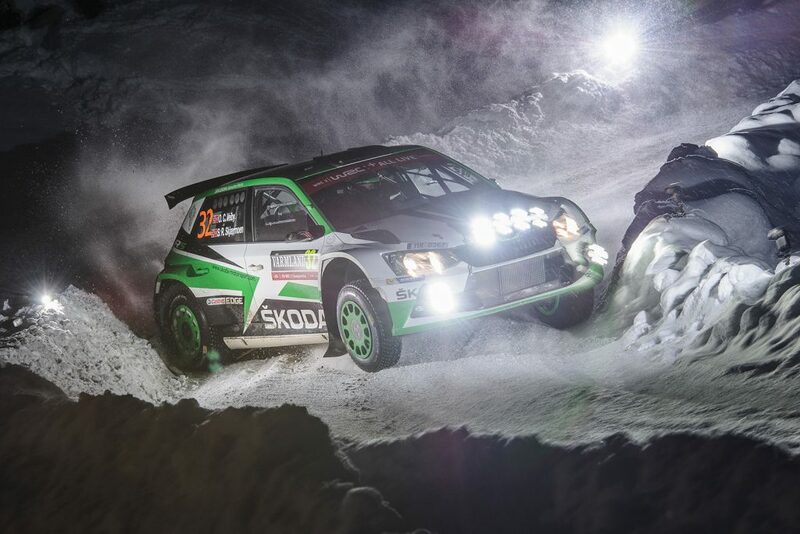 As expected, FABIA R5 crews dominated the show, with six ŠKODA cars in the top 9 positions. 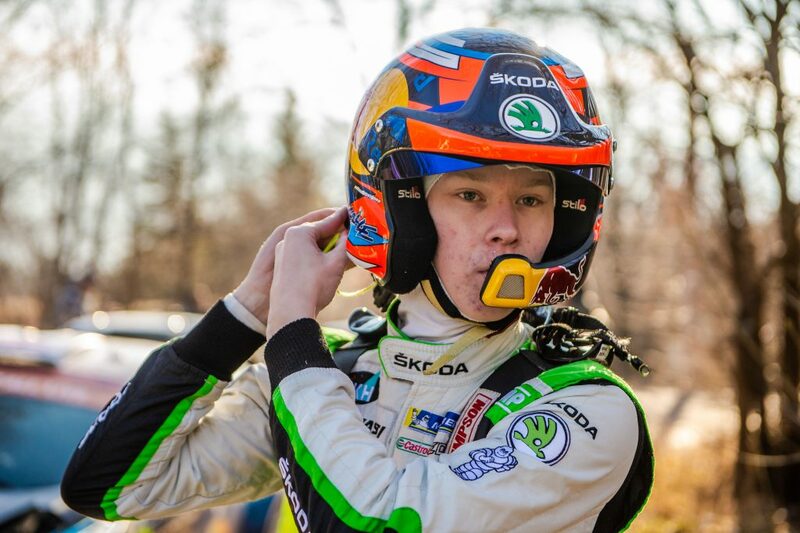 Jan Kopecký, the ŠKODA Motorsport works driver and the reigning Czech Rally Champion, who already secured this year’s title on the previous rally of the calendar, finished second with the time of 2:50.073. 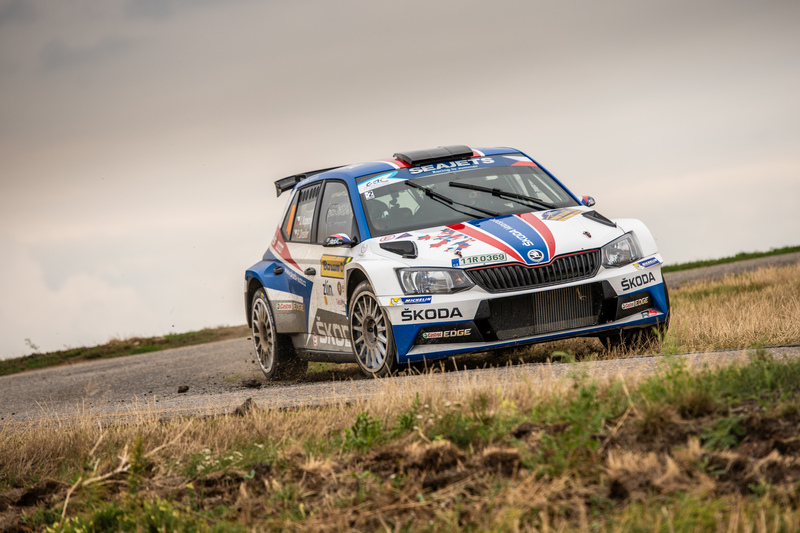 He was beaten by Nikolay Gryazin on FABIA R5 entered by the Sports Racing Technologies team, who posted a time of 2:50.026. 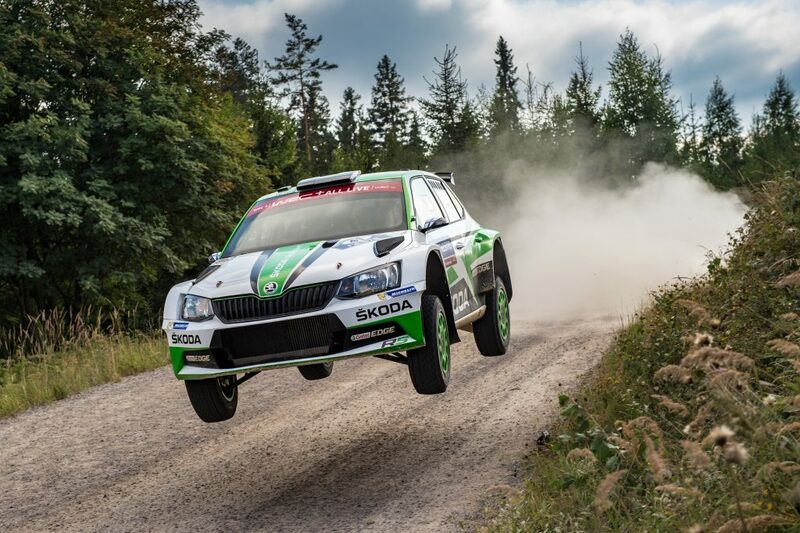 In the third position, Fabian Kreim of ŠKODA AUTO Deutschland finished the 1-2-3 finish for FABIA R5s. 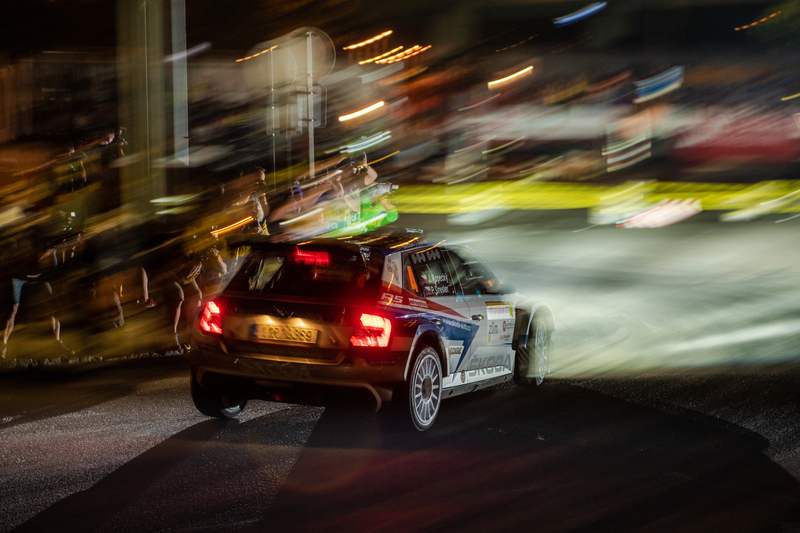 On the Friday evening, the rally started for real with the spectators’ favourite, the downtown stage in Zlín. The rainy weather made for a challenging drive, with many crews suffering punctures and other problems. This time, Jan Kopecký and Pavel Dresler proved their dominance on the Czech rally circuit and won the stage with the time of 7:07.2. Behind them, another six FABIA R5 crews finished in the top ten. More rain during the night caused the first stages of Saturday to be wet and treacherous, but Jan Kopecký started the day in a great way, setting the best time in the SS1. One stage later, though, he got unlucky and suffered a puncture, which cost him almost half a minute and dropped him from the lead to the 4thposition. 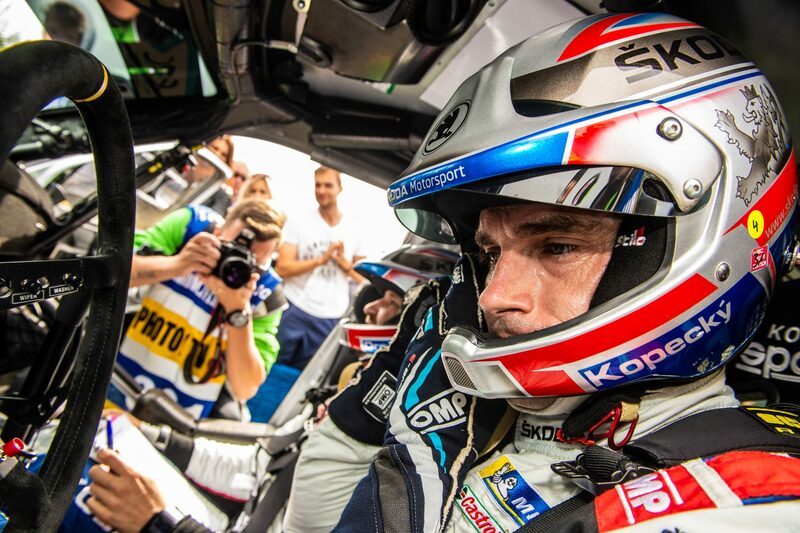 One week ago, similar situation didn’t stop Kopecký and his co-driver Pavel Dresler from winning Rally Deutschland and this time, Kopecký started to fight back in the same impressive way. In the SS5, the last stage of the morning run, he set a stunning fastest time which moved him up to second position. Before the midday service break in Otrokovice, Kopecký is just 7.4 seconds behind the leading driver Alexey Lukyanuk on Ford. The afternoon loop of Barum Czech Rally Zlín featured repetition of the morning’s four stages. Once again, the weather was unpredictable. The conditions ranged from rainshowers to drying parts in SS9, the longest stage of the day close to the service park. In Stage 6, Jan Kopecký’s race to catch up with the leading driver Alexey Lukyanuk was once again delayed by punctures. 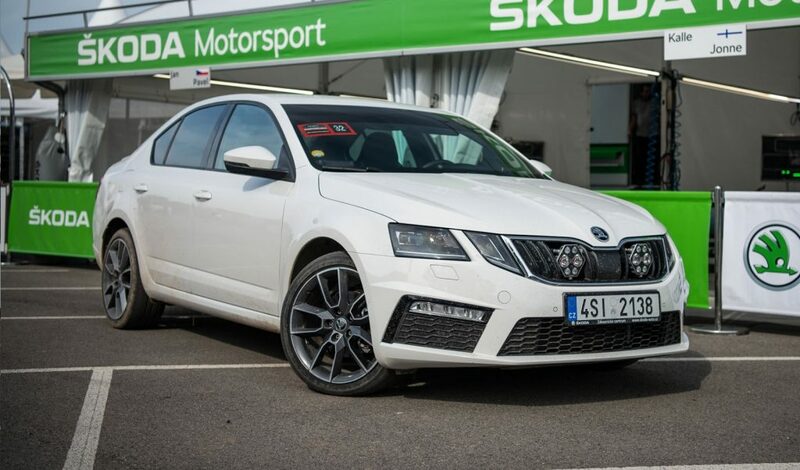 This time, he lost front and rear left tyres of his ŠKODA FABIA R5. The Czech Champion explained this mishap: “There was a big rock which we didn’t expect to be there. Maybe it was dug out by some other car”. Even so, Kopecký set another two fastest time in the two remaining stages of the Saturday leg and moved back to the second place, 16.8 seconds behind leading Lukyanuk on Fiesta R5. Sunday brought constant rain in Zlín and its surroundings, making for challenging drive on wet roads. “Honestly, the punctures were our mistake, but we are still in the fight. I have really a huge support from all the fans, so it’s really great to be here”, said Kopecký in the morning before the start of Sunday’s leg. During the six stages of the day, he proceeded to prove his words. His faultless drive with controlled risks and a clever choice of tyres, cheered by ten thousand enthusiastic Czech fans, took him back to the first position in front of Alexey Lukyanuk and to well deserved victory. Behind Kopecký, seven other FABIA R5 crews finished in the top 10, including Fabian Kreim of ŠKODA AUTO Deutschland. 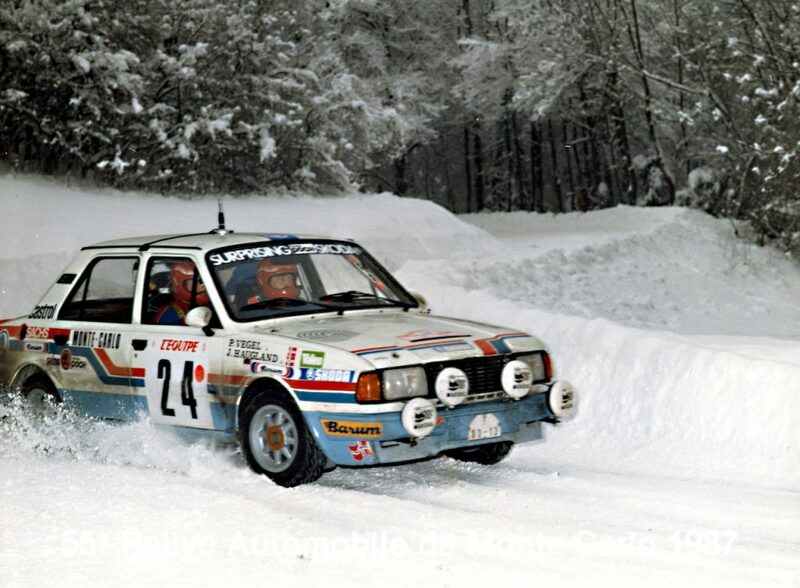 This 25-year-old German driver ended up in 6thplace overall, but what’s more important, he scored second place in ERC’s U28 category, behind the winner Nikolay Gryazin (also on FABIA R5). This means he is still leading the category’s overall standings. Lukyanuk/Arnautov, (RUS/RUS), Ford Fiesta R5, +7.5 sec. Sordo/del Barrio (ESP/ESP), Hyundai R5, +53.6 sec. Jakeš/Machu (CZE/CZE), ŠKODA FABIA R5, +53.9 min. Gryazin/Fedorov (LVA/RUS), ŠKODA FABIA R5, +1:13.2 min. Kreim/Christian (DEU/DEU), ŠKODA FABIA R5, +1:58.2 min.